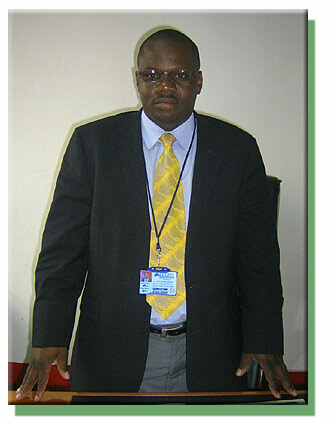 Kityo Evans Lubwama, Managing Director of Lugeye Property Consultants. Lubwama says that Lugeye offers affordable rates and gives genuine advice about the Ugandan market to property sellers... For example we have an influx of Sudanese and other foreigners buying property like there is no tomorrow. When Kityo Evans Lubwama returned to Uganda from a 'kyeyo' stint in the UK at the end of 2005, the idea of hunting for a job as a source of his livelihood did not appeal to him. "I felt I should start up something to do of my own. I made some research. I made a critical analysis of the best business to engage in," Lubwama says retrospectively. It was always going to prove to be a difficult task to find a business venture that would ensure good returns to his "not so handsome" capital, until he decided to look closer at himself and what he had. "While I was in the UK, I bought some plots of land in Kampala around early 2005. When I came back to Uganda less than a year later, the value of the plots had appreciated. I compared this vis--vis other businesses I could think of and found that the risks were lower if I invested in property. The rate of appreciation of property like land and buildings in Uganda right now is very high," Lubwama says. Converted 'kyeyo' sweat into success: Evans Kityo Lubwama. At the same time, Lubwama remembered from his time in the UK that real estate is one of the most booming businesses, yet most areas are developed in the UK. "Unlike Uganda, in the UK there is hardly any undeveloped land. I saw a gap in real estate and decided to venture into the business," says Lubwama, who is now the Managing Director of Lugeye Property Consultants. 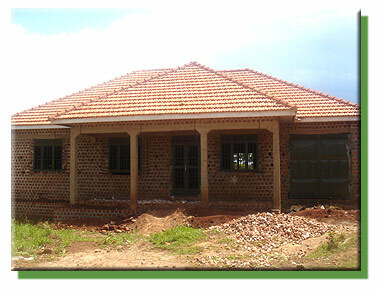 After zeroing in on the real estate business, Lubwama started planning on how to start Lugeye Property Consultants. By April 1st 2006, Lugeye Property Consultants Limited was incorporated in Uganda as a limited liability company.�Lubwama says he started Lugeye in a humble way with two staff plus himself as manager. He named the company after his ancestral home, Lugeye, a village in Kakiri, Wakiso district. "It was not easy at all. I have to confess that we are not very rich at Lugeye. We had limited resources yet the business we started was massive. We built on the few resources we had, and through excellent service, we have been able to establish ourselves among the leaders in real estate business in Uganda within one year of operation," says Lubwama, who now employs eleven others at Lugeye Property Consultants. He says their cardinal goal is to make a significant contribution to the social and economic development of Uganda through the provision of quality, honest and standardized world class real estate services. "We link prospective buyers to sellers and advise all on matters related to property development and procurement. We provide you with a lawyer for every transaction made," Lubwama says. As life becomes more demanding and dynamic, especially for working class Ugandans who earn some money, property consultants are the solution when these Ugandans want to buy property without the attendant pitfalls. Lubwama says property consultants can help you make an informed decision on which property to buy among the many on offer, depending on the amount of money you have and your needs. "Procuring a property can be a hard thing. You may find yourself confused over what property to buy and what to drop. By giving you a comparative analysis of two or more properties, we help you decide on your own," Lubwama says. Besides the usual estate agent business of linking sellers to buyers of property, Lugeye decided to offer a number of related services in order to survive in the competitive market. They offer legal advice on land matters to clients before the clients make decisions to buy,�undertake civil works and construction, do quantity surveying as well as�procure and supervise property developmentsa.�They also manage property and conduct land surveying followed by documentation at what Lubwama calls affordable fees. Build it: Lugeye Property Consultants can turn your empty plot of land into a well developed one. If you want to identify, buy land and build a house, Lugeye Property Consultants will do it for you, whether you are in Uganda or abroad. They can buy land, build your preferred house and rent it out on your behalf. But how many people can trust anyone or any company when, in the past, there have been cases of people giving their money to real estate agents only to end up being given endless excuses and no property? "It is unfortunate that the Ugandan real estate market had some unscrupulous characters among its pioneers. However, we have set out not only to show people that we are honest in our dealings, but also to ensure that they get the maximum satisfaction from our services. To succeed in business today, our reputation must be solid. We value our reputation, having built it on integrity and superior results in every situation," Lubwama says in an interview. Adminstrative Assistant, Teddy Nabacwa. Teddy Nabacwa, an Administrative Assistant at Lugeye Property Consultants says the business has been able to succeed in a short period because of their belief in efficient and honest services. "We serve with absolute faithfulness and dedication. We want our client to have the best. We allow them every chance to make independent verification of properties," Nabacwa says. Lubwama adds that apart from upholding honesty, Lugeye's fast growth is a result of their genuine commitment to customer care and client satisfaction. "At Lugeye Property Consultants, we focus a lot on delivering great results to all who engage our services. We pride ourselves in constantly communicating with both the buyer and seller, keeping both parties regularly informed about any developments throughout the entire process and beyond. We have an excellent training programme in place for our team, ensuring they are always improving their ability to serve you and your individual requirements," Lubwama explains. To Lubwama, it is the future that holds the best returns in this business. He is sure he identified a business area with a ready market. He says that the demand for property in Uganda is big and growing by the day. "For example we have an influx of Sudanese and other foreigners buying property like there is no tomorrow. More and more Ugandans view investing in property as a low risk business. Because many Ugandans prefer to invest in property, the market is growing," he says. The need by the Ugandan urban population for housing is on the increase as more and more people come to live in towns or seek to invest in property in towns. This may explain the big number of real estate companies starting up these days. This means that a business must be innovative in how it deals with customers, as well as set standards that put them above the rest. "The competition is very intense. But Lugeye is growing steadily. Within a year of service, we have managed to make Lugeye Property Consultants a household name. In Uganda, when people talk about real estate, they talk about Lugeye. Our mission is clear, and we strive to continue to be leaders in what we do and how we do it. We have standards, honorable ethics and achievable goals. This is reflected by the large amount of referral work we enjoy," Lubwama says. Lubwama says that Lugeye offers affordable rates (commission and sale prices) to clients and gives genuine advice about the Ugandan market to property sellers. "It is not about ripping people off. Some property sellers come and ask for wild figures. We tell them it is all about how much you have invested in the property and its location. We don't want to push our clients into a corner," Lubwama says. When the primary goal is to get and serve all customers to their satisfaction, establishing a fine balance between the interests of sellers and buyers of property (who are both customers) does not come easy. Lubwama says many people try to sell property without proper documents. "Even where they posses some documents, you have to sieve out the fake documents ones,"
The fluctuating value of most properties has not helped matters either. "You get a seller with a property at a particular price today. When you meet him tomorrow, he may have increased the price," Lubwama says. This has in some instances meant disappointing potential buyers that had earlier been identified for such property. Sometimes, buyers change their minds too. The lack of commitment by most buyers and sellers of property in Uganda compounds Lugeye's problems. 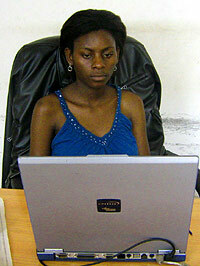 "Few sellers and buyers in Uganda are willing to sign a contract when they come to you. Many end up going to several agents to sell or buy the same property. You take a serious buyer to meet a seller, only to be told that it was sold.�Sometimes you spend money looking for a property, only for the buyer who approached you to say they are no longer interested. That is why we now require written commitment from sellers and buyers who deal with us," Lubwama says. Fluid business: The real estate business in Uganda is still very tricky. Lugeye managed property in Munyonyo. Added to this fluid business is dishonesty from both buyers and sellers when it comes to paying the agreed commission to real estate companies on completion of transactions.�"A seller and buyer may end up agreeing behind your back. Sometimes, clients think it is not fair for you to earn say, 5% of a property sold at one billion Uganda shillings. They may believe we are getting 50 million shillings for nothing. But we invest a lot in finding and evaluating properties as well as in finding the buyers. It is our duty to convince clients," Lubwama says. While the need for property is growing in Uganda, Lubwama says that the majority of its citizens are poor and few can afford to buy property by paying in one lump sum. "But thanks to the banks and microfinance institutions who offer services like staff loans, more and more people are able to get their foot on to the property ladder these days," he says. Lugeye Property Consultants, despite the many challenges it faces in the Ugandan real estate market, is looking forward to better business and to growing bigger and bigger. "We are looking at constructing a number of estates, especially those containing low cost houses to suit the needs of low income Ugandans. We are looking at building houses which the average Ugandan can buy (costing say between 50 and 60 million Uganda shillings). We shall link such buyers to banks to enable them access mortgages so that they can acquire the properties of their dreams," Lubwama says. He says the company is planning to increase their customer base and improve the growing trust, as well as add innovations to their services. "Come, we serve you, you support us. Our pledge is to serve you diligently, professionally and with utmost faithfulness and dedication," Lubwama invites. 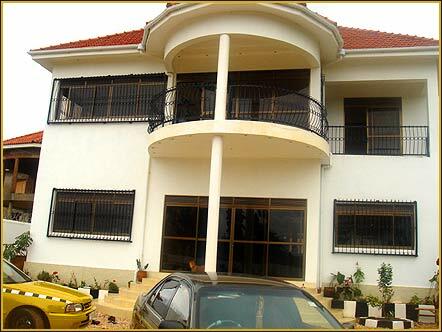 Plot 250 Rubaga Road (Shell Rubaga Road) in Kampala, Uganda.